It happened only once in the history of Supreme Court of India, a direct appointee becoming Chief Justice of India, and Justice U U Lalit will be the second direct appointee to become the Chief Justice of India. Justice UU Lalit will become the Chief Justice of India on August 26, 2022 and continue to remain so till November 8, 2022. Overall, Justice Lalit, as Chief Justice of India will have tenure of 74 days. 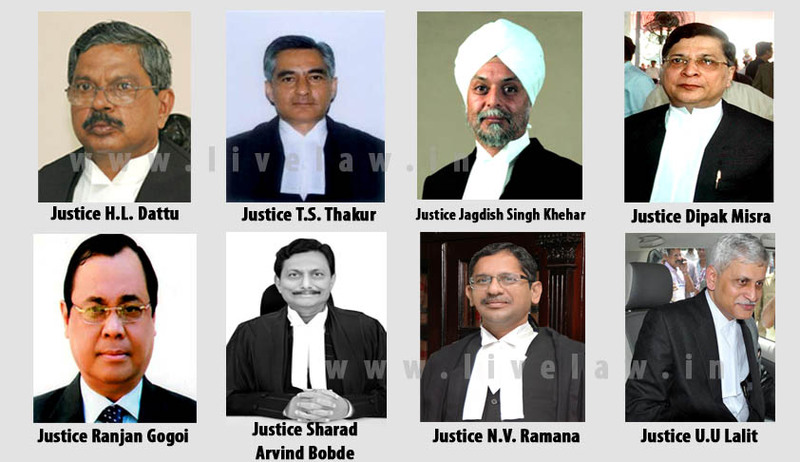 The enactment of National Judicial Commission will not affect the appointment of Chief Justice of India because Section 5 of the National Judicial Commission Bill 2014 also, mandates the appointment of senior-most Judge of the Supreme Court as the Chief Justice of India if he is considered fit to hold the office. Justice S.M. Sikri was the only other judge who was directly selected from the Bar and also became the Chief Justice of India. Justice Sikri became the Chief Justice in January, 1971 and was in office for 824 days. Interestingly, Justice Sikri was second in seniority but was appointed as CJI as the then senior most judge, Justice Zafar Imam refused the post on health grounds. Justice UU Lalit became a judge of the Supreme Court on August 13, 2014 and is one of the last appointments made through the collegium system. Along with Mr. Lalit, the Centre had approved the names of three chief justices of High Courts- Justice Prafull Chandra Pant, Justice Abhay Manohar Sapre and Justice R. Banumath from the High Courts of Meghalaya, Gauhati and Jharkhand. UU Lalit was one of the topmost lawyers in the Supreme Court who had handled the cases of India's who is who including that of Mr. Amit Shah, the current BJP President in the cases involving the fake encounter killing of Sohrabuddin Sheikh and Tulsiram Prajapati in Gujarat.. In times where judiciary is facing an uphill task regarding arrears and delay in justice, such a short tenure reduces the chances to bring in institutional changes and to introduce radical reforms. Till date, there have been only four Chief Justices who had a term which was only in two digits when calculated in number of days. Interestingly, Justice K.N.Singh was the Chief Justice of India for only 17 days, and Justice Rajendra Babu for only 29 day.